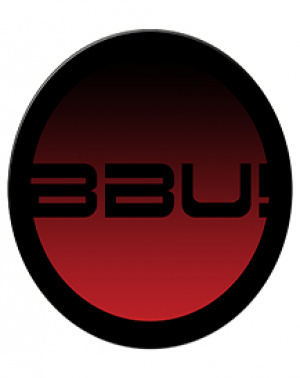 The Wii U's compatibility with tool-sets such as Unity and the Nintendo Web Framework has made the platform accessible to small, independent developers whose games would otherwise not be available on consoles due to high costs and other barriers. While this has made for some wonderful eShop experiences — Ittle Dew and Stick it to the Man are just two standouts — some download titles just aren't meant for the big leagues. Nexis Games' BrickBlast U! is a Breakout clone that feels more like a game design student's first attempt at making a playable prototype than a professional, paid piece of software. With atrocious visuals, unwieldy controls and presentation that recalls old freeware games made using Klik & Play, BrickBlast U! is a muddled mess that gamers should avoid. 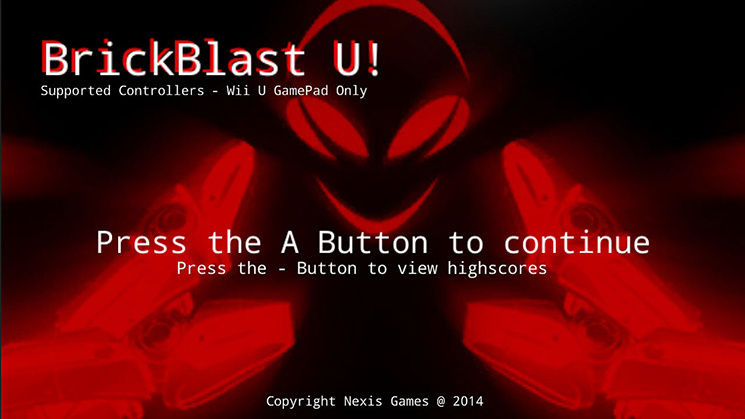 BrickBlast U! has immediately familiar gameplay. 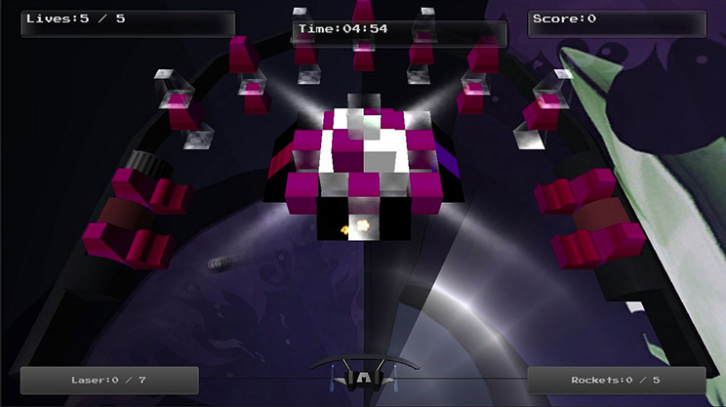 A ball is launched off your paddle toward the top of the screen at a formation of blocks. After hitting a block, the ball bounces off to another spot, eventually destroying the blocks. The objective is self-explanatory — clear all the blocks to go to the next level. Bigger blocks take several hits to destroy, while smaller blocks are easier to break; as the ball bounces around power-ups will fall from random blocks, which you can grab with your paddle — some power-ups will grant you lasers and bombs, while others will enlarge your paddle. There are also some power-downs, one of which will actually result in instant death; had there been any indication of this, we wouldn't have minded, but getting the instant death drop a few seconds into our first time playing was an unwelcome surprise. Each level is timed, but there's rarely a panic to finish... unless the ball starts bouncing horizontally, wall to wall, in which case you just wait for the game to push the ball back down to you, which takes too long. 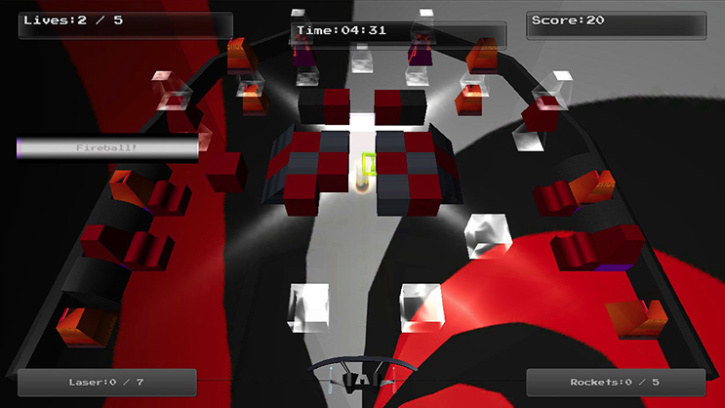 One of BrickBlast U's more unforgivable missteps is its extremely clunky presentation. The controls work, but are not responsive enough. The paddle moves with the analogue stick and shoulder buttons launch weapons; like everything in BrickBlast U, the controls are too slow and it's actually tricky to time your movements. The visuals in BrickBlast U, meanwhile, are terrible. We get what Nexis was going for — the electric music at least complements the pseudo-techno look – but the colours are poorly matched, it's often confusing to see where the ball is, and the power-ups are nothing but little icon boxes. The real issue, though, is that everything moves extremely slowly and with a motion blur that is incredibly disorienting and unnecessarily elongates every level. Whether Nexis Games did this as a stylistic choice or to mask a terrible FPS count, it essentially ruins the entire experience. Players are prompted to create a profile, which we suppose is for keeping scores, but it seems pointless. "Tap the screen to continue" appears when using certain menus, while "Press A" appears other times. Constantly having to fight with the menu just to get into the game is extremely frustrating, especially when pressing A to get to the level actually just prompts the game to begin loading the level. Since there's no indicator of this on-screen, it just feels like the A button isn't working. The little text in BrickBlast U is in a small, white font that is hard to see, and it took us a minute to find our laser count while we played. Hm... considering the price for a NWF license, one would expect better stuff than this. Also, does any Breakout clone even sell nowadays? Those are almost all freeware (sometimes with huge ads, though). Come on, there are plenty of more exciting games to review right now! Where's Guacamelee, Armillo, Bombing Bastards and One Piece? Is this the lowest scoring indie title on eshop? @BigH88 No, the absolute worst thing on eShop is Ava & Avior Save the Earth. 1 out of 10. That's pretty low. Developers should never try to sway gamers to buy their games based on promises of future support. @faint That's all kinds of screwed up. Link: https://miiverse.nintendo.net/posts/AYMHAAACAABnUYn6cjvICw The guy tells people they shouldn't post in his community, and doesn't even use proper grammar! Very unprofessional. When Nintendo removed the demand for a publisher on their online stores, and allowed indies to self-publish, it hopefully wasn't to allow for this kind of thing. I sure hope they don't intend on going down the road of simply flooding their system with anything people are willing to release. "Don’t get me wrong as I have no problem accepting criticism I just feel that this review was more one person’s opinion and doesn’t really represent the gaming communities best interest. " What is this, satire? A review is one person's opinion. The reviewer isn't supposed to guess the audience's opinion. So let me get this straight: in YOUR opinion, the gaming communities "best interests" are met by buying you game. Is that about right? What an amateur reply, Mr. Statusphere. Yeah, I really hope Nintendolife "gets on the same page" with you. That's exactly what I want from reviewers. To "be on the same page" as the game developer as to the game's rating and review.... what a joke. I just saw all this on Twitter! I want to buy this game now. I am making a superior Breakout game where you are a dog. I call it Barkanoid.